Due to the limited number of participants, we kindly ask that you apply for the course in advance. In case you are compelled to cancel your attendance, please be sure to notify us in due time, so that your place in the course could be offered to another participant. In this new millennium of great changes, cosmic initiations bring gifts (in the form of high-frequency inaudible cosmic sound) that assist our spiritual growth and the restoration of abundance and fulfilled peace. Connecting to the Universe – to the symphony of the frequency waves of the Universe – was of exceptional importance in all periods and cultures, whereas today those frequencies are perceived and explored by contemporary astrophysicists and quantum mechanics. Why? Primarily in order to restore balance on Earth. Together with the exceptional sound-energy surgery and other courses of the Veduna School, the initiations make up a wholistic teaching of the Mysteries of life. They reach into the subconscious and into meta-consciousness; they dissolve deeply suppressed traumas, painful emotions and thoughts and thus enable spiritual growth, self-harmonisation at all levels of life, as well as the expansion of consciousness and awareness. In 2000 Miritstarted living permanently without usual food (she is nourished by cosmic energy). That was when a miraculous world of cosmic vibrations was revealed to her, a world of the inaudible (but perceptible) frequency waves of planets and stars. She became a cosmic telepath and medium for channelling Primal (cosmic) life energy and a channel for cosmic, galactic and planetary initiations, the like of which were known in the ancient Mystery schools of Egypt, India, Tibet, as well as by ancient Hawaiians and Mayans, ancient Slavs, Greeks and other cultures and civilisations. Sound-energy initiations, which take place, or flow, once a month, are unique baths of various planetary vibrational qualities or gifts from the Pleiades, Sirius, Orion, the Galactic Centre, the Great Bear, Andromeda, Kryon, Cygnus, Gemini, Draco, the Cosmic Serpent etc., as well as baths of the frequencies of the planets in our solar system. The Universe is a symphony of frequencies. This is also what contemporary scientists claim (Pribram, Bohm etc.) These frequencies ‘resonate’ in accordance with cosmic laws and are also echoed on Earth and in the material world. Different cultures have different names for the vibrations which come to us from the stars, planets and from the Universal Source, or Centre: the Source, Gods, Masters, Cosmic Mind or Consciousness, Logos, the Great Spirit, the Intelligence of life etc. The human desire to recognise different vibrational (sound) qualities has fostered the emergence of these names, which enabled an easier attunement to the frequency-vibrational givens, which humans, Earth and nature need for life. The qualities, contents and gifts of the channelled vibrational-frequency waves are different, as are their effects. Inaudible (but perceptible) cosmic sound (the undulation of the Universe and Earth) is an effective tool for the magic of love, a vehicle across the octaves of sound, across singing links – the codes of immortality, an aid in the initiations of life and death, during which humans seek their essence, their centredness and connection to cosmic (spiritual) dimensions and the Intelligence of life. The selected sound waves of cosmic, galactic and planetary initiations awaken the dormant abilities of galactic meta-human beings and restore the dignity of all-connectedness. However, this connection can only be successful and effective when people have managed to ‘sacrifice’, or eliminate, all their weaknesses. And this is the very purpose of cosmic and galactic initiations, intensivos and cosmic resonance courses of the Veduna School. Contemporary people unfortunately lost their connection to the cosmic qualities of life and soul long ago, as they did to the barely perceptible flows of life energy, which make the human body and spirit alive. They forgot the harmonising wisdom of our planetary ancestors. The Ancient Ones were much wiser than we are today, something that contemporary science is increasingly discovering. Connecting with the multi-dimensional levels of our own being, consciousness, spirit/soul and connecting with cosmic essences and levels of existence reveal to us the boundless treasures of a unified consciousness. The quest for the cosmic consciousness of oneness is the life goal of the humans. Wholeness brings infinite spiritual power, balance, clear perception and a strong body. By spiritually developing ourselves, we also help others. And we help the planet. Initiations prepare us for the time of a stormy and ever more rapid change in the new millennium. Cosmic-planetary vibrations invigorate and harmonise us, they dissolve painful emotional-mental contents, which were suppressed into the unconscious – especially fears, restlessness, worry, despair etc. These contents are the very cause of unhappiness and poverty. This is why cosmic, galactic and planetary initiations are combined with the unique surgery (which is in fact the third surgery session in the month). They bring hope and faith, they expand our spirit and heart, revealing to us things we seek and also those we are (still) unable to reveal or attain with the ordinary linear mind within the time-space continuum – the pinnacles of human consciousness. They help the conscious soul in its battle with the ego. Every initiation anchors different vibrational qualities and reveals different powers of spirit, distinct cosmic-earthly gifts. All the initiations together form a key to the whole, to the wholistic cosmic, galactic consciousness of oneness (to enlightenment), which is the basis of balance, well-being and boundless creativity, beauty, peace and perfection. This is why initiations bring us back to primordial perfection and heal us (to be healed is to be whole). Welcome to the cycle of cosmic-galactic-planetary initiations, if you want accelerated spiritual growth, if you need effective high-frequency help in resolving difficult to solve life problems or if you want to experience the Field of boundless Cosmic Consciousness. Each initiation has a different impact on people and the world; each offers a different kind of help. You can choose to take part in individual initiations on specific topics, but the complete cycle forms a complementary mosaic of the whole, touching all levels of life. Best is to treat yourself to the gifts of all the initiations in this three year cycle. As soon as you receive an initiation, you also receive an exceptional immersion and support of the inaudible cosmic-earthly sound yarn. Cosmic and harmonising sound on Earth is always provided by the Vedun Ensemble – Mirit, Tine, Igor, Matjaž (an ensemble for ancient meditative music and the revival of spiritual healing sounds of the world’s cultures). Mira Omerzel - Mirit, who has a PhD in ethnomusicology, is a pioneer in ethno-archaeo-medical musicology in Slovenia and abroad and a pioneer in the research of the dimensions of sound. She is a musician (classical guitar), spiritual teacher, writer, a medium for the transmission of life energy and a sound-energy therapist – cosmic surgeon. For almost 50 years, Mirit has been researching the Slovene, European and the world’s musical and spiritual heritages. She pursues her sound mission (as the leader of the Vedun Ensemble) together with her son Tine Omerzel Terlep, an engineering graduate, musician (brass and percussion) and therapist, and with musicians Igor Meglič (classical guitar) and Matjaž Doljak. These three are multi-instrumentalists, singers and students of the Veduna School. On the concert stage and at courses, they usually showcase numerous (more than 50) forgotten musical instruments of different cultures. They perform music in a transcendental state of consciousness (in a semi-trance), which, in the past, was a highly esteemed and effective practice. ALWAYS BRING WITH YOU A SMALL GIFT (A FLOWER AND A FRUIT – SYMBOLS OF HARMONY AND ABUNDANCE) AS A SYMBOLIC OFFERING FOR OUR SHARED ANCESTRAL ALTAR. THROUGH THIS, WE ANCHOR OUR THOUGHTS AND WISHES TO »THE FIELD OF ALL POSSIBILITIES«. COME DRESSED IN WHITE AND THUS CONTRIBUTE TO THE GROUP CEREMONY OF REBIRTH. REMEMBER TO BRING YOUR FAVOURITE CRYSTAL (QUARTZ OR AMETHYST), IT WILL HELP YOU TO MOVE BEYOND LIMITATIONS. AND BRING SLIPPERS, A WARM MAT AND A BLANKET TO LIE ON. WHEN WE COMPLETE ALL THREE CYCLES – THE COSMIC, GALACTIC AND PLANETARY INITIATIONS – WE RETURN TO THE BEGINNING OF THE CYCLE and we embark once again through the three sets of these complementary initiations. All the while, we carry out an ever more attentive stock-take of our emotions, thoughts, reactions, behaviour etc. Time and time again. And we get to know things we have overlooked as well as what still needs to be changed and done. Every initiation brings insights into numerous details, which are important for life and which should not be overlooked. With each initiation, we rise higher, to the next spiral of our life, which is ever broader and lighter. And one day, we will unexpectedly become enlightened, awakened within all the levels of the material and non-material reality on Earth, and we will come to understand this infinite richness of our existence on Earth. We will finally manage to overcome the conflict we had been fighting the previous day. Peace and happiness will from then on be our companions! 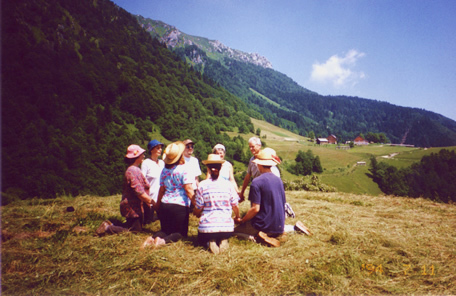 This is the purpose of all the initiations, all the lectures and discussions by Mirit and Tine. If we are still unable to attain what is described above, we repeat the exercises, we repeat the initiations. They are never the same. They are different every time, giving us what we need. With every initiation, we touch numerous details of the listed topics. We re-enter the cycle of initiations and necessary life experiences. The first link to the Cosmos and life is that of the initiations of Corona Borealis and the star Arcturus. With this first introductory initiation we prepare our consciousness and etheric bodies for the reception of cosmic initiations, the frequencies of which will get higher and higher. The background of our spiritual path is not important, we can always take a step ‘further or higher’ and our life will become richer and lighter. The quantity of gifts and mercy we receive depends on us. It is up to us whether to accept the events in our life and transform them into a rich spiritual experience. This always pays off. It is our choice. The more we surrender, the more we get. With the Corona Borealis initiation we begin to understand the illusion of the world of duality (of the unreal and unnecessary), primarily various delusions and illusions of power, ego, control etc. By becoming aware of them, we set ourselves free from the hindering clutter and we see the Truth of existence ever more clearly. We dissolve that which stands in the way of our spiritual development and everyday life. Through this initiation – and also through each subsequent one – we get to know the cosmic-earthly doctrine of existence. We delve deep into the Essence of life, into the invisible and inaudible qualities of the vibration-ray structure, into the qualities of the yarn of cosmic waves, which creates and sustains the material and non-material world alike. This initiation leads us through the energies of the so-called Divine Love and awakens hope and faith, eliminating despair. The structure of the liquids in our cells becomes increasingly harmonised (like liquid crystals) and more aligned with the encoded signals and plans (DNA). In this way, our body and consciousness can better receive universal life energy vibrations. Our heart chakra and the for centuries blocked female principle (the essences of spirit, of the cosmic and intuitive) become more open within both women and men, so that we can transcend division and attain unified wholeness more quickly and easily. This initiation supports rapid spiritual growth, and most of all, cleanses and strengthens the emotional and mental bodies (thoughts, emotions, intuition, telepathic communication between different levels of being, or worlds). The cosmic initiation of Arcturus works deeply to dissolve the fears, worries and destructive energy imprints (blocks) from our cell memory. The purpose of the second extremely important initiation is to dissolve painful and destructive emotions suppressed into the deepest recesses of the unconscious. This is very necessary. Your personal breath gets activated; its rhythm is unique to you, because we are unique beings. With this initiation, traumatic emotional imprints and thoughts rise from the unconscious; suppressed pain is set free from the subconscious, and this releases energy blocks in our body. If we do not release them, we will once again draw into our lives (according to the laws of resonance) equally painful experiences and suffering, even disease, caused by these traumas and blocks. By eliminating blocks ever more consciously, a free flow of life energy and Universal love is restored through all the levels of consciousness and being. We dissolve damaging unloving emotions, such as fear, anger, envy, jealousy, sorrow etc. These emotions build walls on our path to happiness. The vibrations of the North Star help us reveal our personal breath of life, our own rhythm, or compass, and they dissolve more easily emotions which keep coming back time and time again, in line with the ‘like attracts like’ law. These vibrations help us understand our current life lessons and our reactions to our experiences, which are both good and bad, spiritually mature and immature, or insufficiently loving. With the help of cosmic initiations, it is easier to find the keys to joy and abundance, which are based on compassion and unconditional love. In this way, we prepare a space for brighter feelings and happiness, and we draw lighter events and more harmonious relationships into our everyday life. But we first need to get rid of destructive emotions. 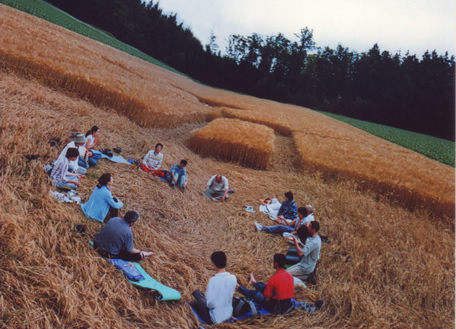 The initiation of the Pleiadean Masters is one of the most beautiful initiations. It strongly expands and opens the heart centre; it expands our consciousness onto the level of the unconditional love of the soul, which we seek so persistently throughout our lives, yearning after it. It has a powerful harmonising impact on the lives of the initiates, which is why the Pleiadean initiation is one of the most important initiations. With it, a closer and clearer connection to the heart and soul, to timeless cosmic wisdom, to the cosmic Field of information (akasha) starts to develop. All of the cosmic initiations together prepare our subtle bodies for the reception of the unconditional love of the soul, which is also called the awakened consciousness of Christ, Buddha, Lalai and Wakan Tanka. The more we manage to conduct ourselves in a loving and compassionate way towards all beings, nature and Earth, the more, within ourselves, we open a path towards a better and more perfect life. We bathe and are strengthened within love – the glue between spirit and body, the Universe and the Earth – which leads to the all-full Silence. Hundreds, even thousands of years ago, in a similar way, our distant ancestors worshipped and attuned to the Pleiades and their qualities during their initiation ceremonies. Anchoring heartfulness and unconditional love is the eternal motto of the human quests and the main purpose and goal of life. The initiation of Vega helps us to even more rapidly develop divine compassion and ‘the body of compassion’, which attunes initiates to the whole and to the etheric ‘body of love’. Its vibrations accelerate the development of both bodies and their unification into an inseparable whole, or unity. They are signposts for us to experience the harmony of the two bodies, which manifest also in the form of harmony, euphony and beauty. Vega shows us the way to a creative quest and connects us with our own essence. Important changes take place in our subtle bodies, strongly accelerating everyone’s spiritual development. We are thus able to move beyond the obstinate and hindering fears for survival and well-being more easily. If peace resides in our soul, everything will be taken care of. We always have everything we need. We only need to open up to the abundance of spirit and body. The Orion initiation connects us to the loving levels of the soul, to the levels of all-connected consciousness. In the past and in different cultures, the Orion initiation was one of the most important initiations, especially during abundance ceremonies and near-death rituals, when the living bade farewell to the souls of the dead and restored a non-material and timeless spiritual link with the help of their essences. The Betelgeuse initiation fosters a quantum leap in our spiritual transformation, a leap onto the level of the soul’s attention. High Master vibrations begin to lead us through the universal compassion of the soul and to the transformation of our subtle bodies. This enables us to understand the soul, higher dimensions of consciousness, and our experiences in the material and non-material world in both everyday life and creative processes more attentively. Ancient wisdom says that our soul ‘remembers, or knows everything’. The soul is our guide and assistant in the labyrinth of life. Our connection to it ought to be ever clearer and we ought to totally surrender to its guidance. Within ourselves, we carry all the knowledge and answers we need. We just do not know how to uncover these ‘all-knowing microchips’. The second initiation of Orion helps us understand our own primordial and undistorted essence, or soul, as well as division and separation (primarily from the Divine Source of life) from multi-dimensional consciousness and existence. This initiation accelerates the process of connecting these seeming opposites of spirit and matter. With this initiation, opposites cease to be unwanted opposites of painful separation and instead become complementary parts of the whole. In this way, we develop the sacredness, or balance, of matter and spirit, and also of the male and female principles of life. New experiences show us the way to a harmonious whole and make us re-evaluate spirit and matter, the material and spiritual. So that the two can together form the sacredness of earthly experience and our life’s mission. On trial are our conscious and unconscious mind, our understanding and awareness, our intuition and ‘thinking’, our knowing and even learning beyond thinking. This initiation helps us transcend the earthly and enter the Divine. One of fundamental human tasks is to connect seeming opposites into a harmonious whole. This is how we return Home – to the Home of the soul. The Sirius initiation is the last of seven/eight cosmic initiations. It opens up the door to the flow of cosmic (soul) wisdom. It builds a wide portal into awakened consciousness, which is why it has been crucial to the spiritual quests of both ancient ancestors and contemporary people. Ancient knowledge is once again coming to meet us, as a help for a better tomorrow. Previous initiations reawakened mainly oppressed female essences, which are now being balanced with vital and spiritual male vibration. This enables us to restore balance between the two polar energies. We are revealing and balancing the female-male polarity within us throughout our lives. And when the time is ripe – when our consciousness is ripe – we can restore androgynous perfection, the wholeness of the two essences within ourselves, wholeness at all levels of consciousness simultaneously. The euphonious resonance of the seeming opposites always delights us, calms us down and inspires us. Without it, we impetuously seek the other pole, losing ourselves in the chaos of seeming and disharmonious opposites. The frequencies, gifts and knowings of the consciousness of Christ, Shiva, Wakan Tanka, Buddha, Lalai and Perun finally take their place in the wholistic mosaic image of everything that is. They help us hear more clearly the all-pervading cosmic (or Divine) ‘information’ on the present, the past and the future (all-knowingness or all-seeingness). At the level of wholeness, the purpose of events is revealed to us. And we can also step onto levels beyond time, beyond three-dimensional space and the linear mind. The initiation wraps up the nine-dimensional enlightened Universal Consciousness and gifts of the unconditional love of the soul – at all levels of being and reality. The cycle of cosmic initiations is followed by a cycle of galactic initiations, which 'resonate' and penetrate even higher. What we yearn for never comes by itself! We need to work to attain joy and abundance and establish conditions for them! Cosmic and galactic initiations are a precious help in this process. Through them we receive that which we are unable to give to ourselves, as that is beyond our abilities. We therefore need to learn how to attract what we need for harmony and the necessary transformation from unhappiness to happiness; and learn how to preserve the new consciousness and reactions in our life. The cycle of galactic initiations comprises a new set of even more profound learnings and insights into the laws of life, harmony and abundance. The first galactic initiation comprises vibrations symbolised by the constellation of the mythical ship Argo, captained by the Greek hero Jason. On the voyage across life, the divine Orpheus solved problems with his magical lyre, with sound. The time has come for us to finally connect to vibrational flows and gifts, the purpose of which are the effective manifestation and actualisation of ideas and wishes, and the elimination and (de-)materialisation of obstacles in the physical world. It is time for us to become fully aware of the shape-giving power of the audible and inaudible Universe, or sound – including our thoughts and feelings. With this initiation, we receive help to anchor of our visions, happiness and abundance. You are welcome in this new experience, which uncovers countless new possibilities. Together, we look forward to the infinite variety of the new that is approaching. But first we should learn how to clearly recognise, express and shape the flow of our thoughts and supplications, for only that which we ask for, only that which we nurture in our thoughts, is grounded and manifested (provided it is accordance with the whole). What we think or feel will sooner or later be drawn into our lives. ‘Do not think as a human being, think as a soul, as spirit,’ is the motto of the vibrational gifts of Kryon. The high-frequency (sound) waves of this initiation expand our consciousness even more, healing the spirit (and indirectly also the physical body). The expansion of consciousness is always beneficial. It increasingly unveils our insight into current life problems. With every expansion (initiation), we see the world differently. Our consciousness is boundless! With it, we are able to reach truly magical, yet at first unfathomable realms. We can always do more, do better. From a wider perspective, we see and understand the flows of life better and more broadly. And this is also how we reveal our dormant abilities and talents. We become ‘meta human beings’ without limitations, human beings of the new era, beings of peace and well-being. We reach the goal of life – awakened, enlightened cosmic consciousness within the framework of the galactic-earthly paradigm, within the Universal on Earth. We attain this during our life in the material world. With the help of the timeless wisdom of our planetary ancestors, we can today consciously reach and comprehend the ever higher dimensional worlds of reality. We are being guided across the dimensional portals of time and space, to the levels beyond the material and tangible, the visible and audible. We live in a time of rapid change throughout the world. This is a time of accelerated transformation, awakening and connecting with the galactic expanse of the mind and existence. We reach boundless wisdom across the portals. This is why this course reveals the laws of the unconditional love of the soul even more profoundly. These laws are the keys to the expanses and grandeur of the boundless. The frequencies, vibrations and sound qualities of the Galactic Centre are one of the primordial givens, which effectively attune us to earthly and cosmic laws and to the primal undistorted form. This initiation awakens within participants an ever clearer insight into the goals and purposes of the trials in their lives, even the purpose of pain, illness and suffering. It attunes them to the essences of the Source, to the Primal Idea of Perfection (of wholeness; to the Divine Plan, as folk tradition would put it). In our essence, we are and we want to be whole and perfect, without spiritual and physical distortions. We are the harmonised euphony of countless vibrational qualities, or realms. When we start to resonate harmoniously with the wholeness of everything that exists, we stop creating new problems in life. Aligning with perfection is a crucial life process; it is the very meaning of our existence – until one day, we attain the awakened goal. It is also a way of returning to the Source of life, to the Centre, to the Home of the soul, which is inspiring and rejuvenating. This initiation reveals numerous insights into ancient spiritual heritages, by which our planetary ancestors used to consciously attune themselves to multi-dimensional consciousness and reality, to the Centre of primal life energy. What is more, they set off, on the wings of spirit, to the centre of the Milky Way (to the Black Hole), where different (gravitational) laws apply. These laws have a beneficial effect on the consciousness and bodies of brave ‘shamans’ and travellers, who manage to ‘get’ there with their spirit, across the curtains of time. Resonating with the Centre invigorates and rejuvenates. These exceptional experiences are still available to us. But we also need to look at the point we strayed from the path, which continues to prevent us from living in peace, abundance and happiness. At which station did we get stuck? The path and goal are the same for everyone, only ways of travelling are different for each of us. But first we should get to know the journey along the axis of consciousness and reality – the climb up the nine-dimensional sacred tree, as folk tradition would say. The frequency waves of the Great Bear constellation are especially important for the European, Slovene and Slavic territories. With the vibrations of this shining constellation of the Bear, or the Wagon, we seek ourselves among the countless possibilities and opportunities, which life offers us. The Bear is easy to find; it helps us orient ourselves among the stars in the Sky of the Northern Hemisphere. Just like the bright stars of the Bear show us our position in space and even in time, the inaudible and barely perceptible vibrations of its frequency undulation show us the map of our current spiritual search, offering support in our understanding of the life’s game – so that we can play the game and mend its deficiencies ever more consciously. But the Great Bear’s frequency waves require from us total forgiveness (both to ourselves and others), and the letting go of everything that is not love. Siberian shamans claim that the Great Bear ‘knows everything and is the first to find out’, before we do (this is how they describe the energies of the Source, the Principle, and the encoded information about everything that was, is and will be in the Field). It is also said that the Great Bear directs human destinies and has a prophetic intuitive-telepathic impact. It also has the quality of connecting people to the Source of life, to the Centre (including the Milky Way; Siberian shamans still worship it today). Our mind is the switch, which we should hone to perfection, so that we can come to see and master all its impulses and thus remove its destructive power of chaos. Centering ourselves along the axis of consciousness, with the Source and the centre of our own being, is an all-life process. We should master the mind – and not the opposite. Mastering the mind means to recognise its game and consciously create the contents of our life, according to our will and ideas. This is how we get centred within ourselves and create the much needed magical silence of the mind, where the power of manifestation resides. This is an out-of-the-galaxy initiation. Its frequency waves derive from the two great primordial cosmic vibrational forces of Creation; its source is located within the balanced forces of eternal opposites, which are eternally complementing each other. Like in mirror images, humans constantly see themselves in apparent opposites; they recognise themselves in them and complement themselves through them. Like white and black resonate together in their seeming differences, or separation, so do both the Galactic Centre (or the Black Hole) and the Anti-centre balance their own differences. In mirror images, we see in others what we refuse to see within ourselves. Opposites reveal the other pole and together make a healthy whole, including the male-female whole. When we are whole, we are healed. These forces attract each other and make a whole together, they even oppose and annihilate each other. And all the while, they also ease current pains and bring deep insights. Opposites are parts of the same (Divine) whole, they are particles of the same Source – the creative force of Creation. Are we aware of these processes, which unfold in everyday life? Do we understand why we are attracted to some people, while others turn us off? The joining of seeming opposites (even the unloving and painful ones) and an alignment in partnerships will be easier with cosmic (divine) support. They will be grounded within the unified peace of mutual harmony – in nirvana, in both action and at rest, in the material and non-material, in spirit and matter, in female and male essences. Transformation processes will unfold more lightly. Traumas and suffering will be dissolved even more consciously and effectively. A majestic process of balancing universal opposites is constantly unfolding in the Cosmos. As above, so below. This merging gives us the opportunity to successfully balance ourselves, to ‘align’ ourselves to the flow of life, to the Higher Will, to the current given, or destiny. In love, the ego kneels down and personal will becomes but an echo of the Higher Will, the Universal Mind. Recognise your abilities, your mission and the visions of the upcoming times; recognise how to live them within partnerships and seeming opposites. A totally new time lies ahead of us. A time of rapid change in all fields. A time of a completely new consciousness, a time of the new Earth. Everything which is not valid is falling apart, everything that is not pure essence, perfect harmony, or the clarity of compassionate love. We live and create a time of new possibilities and opportunities. And we often lose ourselves in the turbulence of the old – departing – and the new – approaching. We do not know how to deal with current lessons, or ‘problems’, which are primarily telling us where did we lose ourselves. We often lose our path, direction, meaning, courage and will etc. The quest for an attuned harmony with the purpose of life and current moment pushes us into new trials, even into unusual and exceptional decisions. Aligning to cosmic and earthly rhythms, to our own rhythm and the current evolution, or current events on Earth, supports and opens us, showing us a more certain way to the euphony of abundance, both known and unknown. You are invited to partake in a new adventure, in a dance of the cosmic rhythms of Andromeda, which uncovers totally new realms: new challenges and visions of the time, of the life we live. It offers us to start living in harmony, without suffering, and to swim lightly together with the inconceivable Plan – the Idea of the Universal Consciousness. Our solar system is part of the Milky Way galaxy, whereas the galaxy of Andromeda has totally different out-of-galaxy pulses, encouraging us to move beyond our own limitations and stuckness in the unenlightened contents of life (primarily emotional-mental content). Its high-frequency rhythmical waves are a ‘fresh wind’ – full of visions, unusual insights and ideas, exceptional and very creative. For the times we live in and also for the times which are yet to come. The vibrational gifts of Andromeda cleanse our thousands of years old karma, our destined given, along with all kinds of relationships. The main qualities of this vibration and initiation are both its support of our quest for new and more loving ways of co-existence and the revealing of exceptional creative impulses, which are beyond the usual. But this new will start to descend into our everyday life only after we have totally grown out of stuckness and hindering, insufficient family patterns. Happiness, peace and health do not come by themselves. We need to earn them. This is why restoring the consciousness of abundance and the grandeur of all-connectedness is the principal task of life. On the heights of consciousness, we enter the Silent knowledge of the Universe. When we have learned to open the heart and mind, to eliminate blocks and wounds and heal both ourselves (make ourselves whole again) and all levels of our body and spirit, we can start dealing successfully with the actualisation of all kinds of abundance in this cycle of galactic initiations. By maturing spiritually and by expanding our consciousness and awareness into all dimensions of existence, across both material and spiritual realms, we temper ourselves; our knowledge of the Truth of life and of the levels of reality is ever more subtle. We discover the magic, the alchemy of resonating with abundance and the spiritual luxury of an open mind and heart. An open heartful thought is manifested immediately in the material world, poverty is banished. But things will not work without devoted openness and an acceptance of all the dimensions of the soul, body and world. This is why we walk through spiritual and life transformation gradually. Insofar as we can and want to. Desire is the impetus. The initiation of Aldebaran supports us in this. It expands the abilities of initiates and pushes them over the obstacles they have themselves placed in their minds. There is a revolution happening on Earth, which is actually the evolution of consciousness and way of thinking. We will swim with the flow, with our mission, with the plan of our life (with our soul’s agreement), if we fruitfully follow this evolution, if we always try to understand the messages of our current troubles and challenges (and all our problems are in fact challenges at their core!) and if we develop our abilities, the expanses of our awareness and spiritual depths. Every current problem we solve (which is actually a mirror of the content we carry in our soul and thinking) will bring us a step closer to the goal – to the awakened consciousness of fulfilled peace and abundance. The vibrations of Aldebaran open a path to new worlds and to the unintuited and boundless dimensions of our own being. At their core, these dimensions are always the mirrors of the whole and Divine perfection, leading us to the fulfilled silence of all-connected consciousness and mind, and to the fullness of awareness. Trying this out is truly worth-while as, of course, is living it permanently. Always speaking the truth is not always easy, it is in fact quite a hard nut to crack. The culture we live in has taught us to lie, to live with a mask, in an insincere way. We are constantly trying to adjust to the demands and expectations of others: our partners, parents, children, friends, superiors etc. But why – so that they might accept and love us? By doing this, we are denying ourselves, our needs and insights. Is a compromise at all possible? This is why anger emerges deep within us, an ever greater dissatisfaction and grief. Always speaking the truth supports spiritual Mercy, the mercy of existence and grace beyond compare, even though others may be dissatisfied with this. Truth is the beauty of life, which sets us free. But the truth we feel is always only our truth – it is the reflection of our level of consciousness, the echo of us being open or closed. A spiritually awakened person ‘sees and hears’ the Truth, which is why, in all spiritually mature cultures of the past and present, only the enlightened ones judge matters. Equipped with the highest knowings, they also open up the path to other people. So, how should we react from our level of truth and current maturity, from our level on the spiritual pyramid? The way to the Truth leads through the beauty of modesty and the fullness of a sincere awareness. To express the Truth is a mighty, difficult and generous challenge – the number one spiritual law. Like a gracious swan’s song just before its death (or transformation), we reverberate with the truth in our eyes and song in our throat. Division is one of the greatest problems, or challenges, of humanity. It arises in our world of duality and opposites, especially in our separation from spiritual levels, from the wisdom of the soul. Separation makes people blind and deaf, it imbues them with fear and doubt. Such people see themselves and the world in a distorted way, which is why they egocentrically glorify their own deficiencies and immaturities, blaming others for their pain and suffering. Separation from the Source of life energy, from the cosmic and spiritual dimensions of being, gives rise to a series of problems: dissatisfaction, restlessness, unhappiness, destructive thoughts and emotions, despair and lack of will, material and spiritual poverty, mental and physical illnesses etc. Like the ancient Greek mythical heroes, Castor and Pollux, humans persistently seek their non-incarnated part of the cosmic soul – their twin soul. Their missing part. Living at the levels of eternity, the immortal Castor is constantly inviting the mortal Pollux, who, on Earth, matures through love and merges with the whole. Only in the expanses of a compassionate awakened love are mortal beings able to attain their other I, their perfection and essence – occasionally at least, for only half a day, as the story says. By connecting all the levels of consciousness and being into a wholistic experience of life and ourselves, we are able to dissolve the venom of a divided separation, which is killing us slowly, distorting our experiences and making people unhappy. Without wholistic awareness, we have the feeling that something fundamental is missing. To overcome the twin in a mortal (earthly) being means to discover your other (cosmic) pole, your soul and thus to actualise your life within the joyful fullness of life. The celestial serpent, or the river serpent, the sea serpent, is the symbol of life energy, which undulates through the Universe and through everything that is. It is often replaced by a dragon in ancient mythology. The dragon can have one or more heads which may greatly resemble human heads. It breathes fire or smoke rises out of its mouth. Fire is the symbol of transformation, for it destroys everything it touches (the old, immature, insufficient etc.). Serpents and dragons are the guardians of treasures, of the immense wealth which all humans carry within themselves. They guard the golden fleece, the Nibelung hoard, the golden apples of the Hesperides. In Slovene tales, they keep the treasure hidden inside the Bogatin Mountain. Only a person with a magic horn, made from precious Goldhorn’s horn, can find this treasure. Only those, who resonate with purity out into the world, those with pure and open hearts and thoughts, can discover and earn it. The Draco constellation coils around the Little Bear. Within it shines one of the most important stars – the North Star, which humanity has used for orientation for thousands of years. In the past, it was important in the construction of temples. Creation tales say that the dragon helped the giants – the Titans – to build the world. The Chaldean dragon called Tiamat existed in Creation myths even before the Sky and the Earth, because it was the symbol of primordial darkness and chaos, out of which emerged light (sound), the Sun God and everything that is. The dragon tales tell of the battle between light and darkness, about the birth of light out of the darkness, about the meaning of life. Tiamat, the primordial female life energy, possesses the ‘the tablets of destiny’, the matrices of life. Like the Light God, we humans are bestowed with countless divine gifts in order to overcome darkness within us. Provided we live in a conscious way. We overcome it through movement – through a truth-loving understanding, symbolised by the wind Huracan. According to the ancient mythical stories, Huracan smashed the evil – the darkness, the dragon. Then he created the Sky and the Earth, the stars, time, cosmic and natural cycles, and the material world. Time and time again, people need to return to the primordial darkness, to the sound of the sounds, to be able to find light, the light of the sound, within themselves, and to build a better tomorrow with this light – a new, broader consciousness. In all spiritual traditions of our planet, the serpent is a symbol of life energy, a symbol of the inaudible cosmic vibrational flow, which builds, shapes and sustains everything that has been created, including life on Earth. But the serpent coiled around a staff, held by a man figure called the Serpent Bearer, is something special. The myth about the first healer, or the Serpent Bearer, named Aesculapius or Ophiuchus, fighting the dragon Tiamat, which embodies the darkness of the Source, derives from Mesopotamia. It represents the deity of light and good. In Greek myths, the Ophiuchus constellation, located between Scorpius ad Hercules, represents the first doctor on Earth, a sage beyond compare, a herbalist with aureole, with a sacred auric glow around his head. Immortal, awakened, he was able to bring the dead to life. The mythical being centaur – half-horse, half-human – helped him in this. To be immortal means to be enlightened. Legends say that Aesculapius, the ‘one who holds the serpent’, once killed a snake. But the snake came to life again, after ingesting a herb which it carried in its mouth. This is how the wise healer learned of the power of this medicinal herb and he began to use it successfully in his healings and life-restoring processes. He knew the secret of immortality, which is why he had to die. Pluto – the God of the dead – complained to the supreme God Zeus that this was not how things should be. And Zeus (the God and a symbol of the Intelligence of life) determined that death is the fate of humans, which cannot be avoided. And that no one – not even the wisest doctor – is allowed to restore people to life, despite having attained this knowledge and power. This was the decision of the Gods. But as a result of his wisdom and merits for humanity, Zeus placed Aesculapius among the stars. He is still standing there with a snake coiled around a staff – a contemporary symbol of healing and medicine. Seeking connections to the eternal and immortal (all-connected) consciousness is timeless, it was known in all cultures and at all times. To touch the level of the indestructible soul means to discover your essence and to start living your own fullness, which is also the purpose of this initiation. The yearning for enlightened wholeness is built into us. The Serpent Bearer symbolically connects everything that was, forming the one precious treasure of human existence. The past for the present, the present moment for the future. The Earth moves across the Universe together with our solar system, which is located on the edge of our Milky Way galaxy. The planets of our solar system, along with the Sun and the Moon, are closest to us, which is why their impact on life on Earth is the strongest. The sages of different cultures living in ancient and modern times were first and foremost brilliant astronomers, and only then were they teachers of their communities, priests, musicians and healers. Until the 17th century, astronomical knowledge was highly esteemed everywhere, on all continents; it formed a part of general education, a part of quadrivium – the four connected subjects, the four main scientific fields – astronomy, arithmetic, (sacred) geometry and music. These subjects comprised the sacred teaching of the wisest ones, both at universities and in ancient mystery schools. Astronomy had to be mastered by musician-healers, two of which were the legendary Pythagoras and Paracelsus. Contemporary science and medicine still swears oaths to them. In the 17th century this wholistic four-fold knowledge grew increasingly neglected and lost in the fog of swearings by people's own intellect. But what is our intellect actually made of? Of which knowledge, which knowings? All-connectedness with the Universe, the Earth, the planets and the stars also began to be lost in this period. Humans began to swear only by the visible and tangible. They began to lose themselves, their cosmic and earthly quality and wholeness. They got stuck in the darkness of narrow-mindedness and non-connectedness. And this wandering outside their own centre, outside their own centredness in the here and there, is still in progress. This is why contemporary people are dissatisfied, divided and painfully attached only to the material, visible and audible world. They are materialists. The knowledge of the very source of the influences for many a thing remains hidden from them. But the ancient wisdom, including astronomical knowledge, was far broader; it was present in the manifold dimensions of reality (between the 9th and 12th dimensions, as folk tradition would say). For our ancestors, these expanses brought an in-depth knowledge about everything; and most of all, they brought respect for all forms of life – on Earth and in the Sky alike. The Sun, the Moon and other planets of our solar system were once acknowledged as the Source of the majestic influences and gifts from ‘the Sky’ –for good of everything that exists and lives. And destructive influences also had to be recognised, so that people could know what builds their harmony and what shatters it, what supports them and what hinders them. Three Slavic (mythical) women – rojenice(Fates) are said to symbolically predict, or impart to everyone what they had earned, or 'produced' at the moment of their birth. As the ‘stars commanded’– as folk tradition would put it. Well, how does free will fit into all of this? True, we live on a planet of free will, where we ourselves choose bright and dark paths. At least it seems this way to us. We can indeed decide about this and that and the other –using our free choice or will. But the choices we have are mostly not in our competence. They happen by themselves, according to the orders of cosmic creative forces. But what are these forces, what are they telling us? People are often aware that something simply had to happen. Why do some have the ability to paint or to express themselves through music; why are some calm and the others angry, one practical, another extremely clumsy etc. Cosmic-planetary initiations acquaint us with the influences of the frequencies, or gifts of the Sun, the Moon, Venus, Jupiter, Mars, Saturn, Mercury, Uranus, Pluto and Neptune. With everything that life brings to them, humans are in fact always ‘born under a lucky star’. Of course, the planets and the stars are not to blame if something is still not good enough, but it is good to know their influences, their support and unwanted effects. Contemporary science has returned to the understanding of cosmic and inter-planetary influences on the material and non-material world. The ancient myths of different cultures of our planet all speak of this in their own poetical way. Cosmic waves have an effect on everything that lives on Earth. More sensitive beings feel different cosmic waves. There certainly must a mighty power behind this, if the Moon is able to raise water levels and humans out of their beds, making them move unknowingly, as they simply follow their unconscious content. Do not be blind and insensitive! Rather expand your awareness of the invisible creative, supporting and seemingly hindering forces. And you will be able to ride on the flows of life more lightly – on the barely perceptible waves of Creation and everyday creativity. Life is a great gift, bringing us a precious teaching about its Intent. About the difficult to comprehend Essence. Earth – the blue planet. We live on it, but we are all too little aware of its gifts and its vibrations which 'resound' outside our field. The Earth moves in a spiral across the Universe together with our solar system, which is located on the edge of our Milky Way galaxy. The planets of our solar system, along with the Sun and the Moon, are closest to us, which is why their impact on life on Earth is the strongest. The sages of different cultures living in ancient and modern times were first and foremost brilliant astronomers, and only then were they teachers of their communities, priests, musicians and healers. Until the 17th century, astronomical knowledge was highly esteemed everywhere, on all continents; it formed a part of general education, a part of quadrivium – the four connected subjects, the four main scientific fields – astronomy, arithmetic, (sacred) geometry and music. These subjects comprised the sacred teaching of the wisest ones, both at universities and in ancient mystery schools. Astronomy had to be mastered by musician-healers, two of which were the legendary Pythagoras and Paracelsus. Contemporary science and medicine still swears oaths to them. The Earth too has its own tone. Its planetary sound, which is somehow encoded in our bodies and spirit. If we descend into transcendental consciousness, we can hear the singing of ‘the fifth Earth’, which keeps turning – through the day, the year, the aeon etc. Contemporary science has returned to the understanding of cosmic and inter-planetary influences on the material and non-material world. The ancient myths of different cultures of our planet all speak of this in their own poetical way. Cosmic waves have an effect on everything that lives on Earth. More sensitive beings can feel different cosmic waves. There certainly must a mighty power behind this, if the Moon is able to raise water levels and humans out of their beds, making them move unknowingly, as they simply follow their unconscious content. Do not be blind and insensitive! Rather expand your awareness of the invisible creative, supporting, or seemingly hindering forces, and you will be able to ride on the flows of life more lightly – on the barely perceptible waves of Creation and everyday creativity. Life is a great gift, bringing us a precious teaching about its Intent. About the difficult to comprehend Essence. For millennia, our ancestors worshipped the Sun in various ceremonies. The Sun represented the Father and the Moon represented the Mother. Devoid of the vibrations and light of both of them, our world would be gloomy and impoverished. The Sun bestows life power upon us, while the Moon points to the feelings we nurture or hide within ourselves. The vibrations of Saturn lead to transformation; they teach that pain can be the greatest teacher and happiness its ultimate station. Can pain and suffering truly lead to happiness? In many cases, yes it can. Unhappiness changes and tempers us. It carves us into a jewel. It brings us ever closer to joyous living and to the goal of the human life journey – to awakened (cosmic) consciousness. Thanks to pain, we increasingly see our mistakes and inadequacies, as well as our egocentric behaviour and stuckness. Pain (including illness) is therefore our most important signpost and reminder, warning us that there is (still) something we are not doing right; that there are still things to be repaired, worked on, changed, that we need to open up to something, understand, realise something etc. It is good to know its levers. The cosmic-planetary initiation of Saturn takes place before the December Solstice (21st December), when the old cosmic-planetary cycle is drawing to an end and a new cycle is beginning. A new year. The Solstice is the most important day in the year. The day before and after, silence and focus on the new, on our wishes and goals is desired. Mirit presents the effects of individual planets and a December festivity is included. The cosmic vibrations of Mercury lift us from the bottom to the Sky, from despair to faith, from rigidity to necessary change – within both ourselves and family and partnership relationships. The cosmic-planetary initiation of Mercury is wide-ranging. The Mercury vibrations reach from the very bottom to the Sky, to the Source (the Divine). On the one hand (at lower levels of consciousness), Mercury can support slyness within a person, even trading with truth and lies, whereas on the other hand (at higher levels of consciousness), it awakens countless insights and nobility, the light of the spirit, the highest, the most precious etc. The Mercury initiation reveals the best in us, offering an ocean of immeasurable possibilities. In one move, in one life, it can lead us from the muddy bottom to enlightened heights, to the goal of life’s journey, which requires awakedness and watchfulness at all levels of living. A human thus becomes a luminous white lotus, whose seed was sown in mud. If we are currently battling dark situations and relationships, the in-flow of Mercury planetary-frequency gifts can bring insights into reality. An insight into the field of countless possibilities. We can then come to realise, see and better understand our own life pulse and current lessons. Vedic astronomical science – jyotish – states that the support of Mercury is extremely precious when seeking the quintessence of living, when seeking ourselves. The life of spiritual warriors and seekers, and that means everyone, becomes truly worthy and fulfilled. Venus is the planet of love. It is revered in all cultures and in all times, for we all want to attain its gifts. The Venus initiation is one of the most beautiful. It broadens our insight into the events in our life. The planet Venus shines in the Sky in two forms: as the Morning Star and as the Evening Star. Its appearance in the Sky often indicates a special astronomical constellation, including the beginning of the new fertile cycle and sowing. Venus disappears from view every day, it is lost, it dies in the dark night only to be born anew in the Sky. In our life. Its vibrations are gentle, yet extremely powerful. They inspire us for beauty and awaken us. The vibrations of love move the world, they harmonise it and expand our spirit. Within the venusian state of lovingness we see and understand more, we are more powerful and effective. The vibrations of Uranus imbue us with courage for the necessary change, for the new, the unknown, for something completely different. They give us the strength to carry out completely different, even unusual things. Uranus energies are unpredictable, yet immensely transformative. Bathing in them allows us to see better and more easily what needs to be changed and how. Signs ruled by Uranus (the Aquarians) bring new and exceptional visions and ideas into our world. The Renaissance prophet Nostradamus wrote that without Uranus (Aquarian) energies, we would still be living in prehistory. In the paleolithic. This initiation is intended primarily for those who want or need support: for those who find themselves standing in front of their spiritual wall and do not know how to pass through it; for the weak and the sick, who know that their bad situation is the result of their erroneous behaviour, but do not recognise that behaviour. And of course primarily for those who seek answers and new creative essences. Aquarian Mirit will also explain how to ease the rush of the new, the unusual, yet precious.